Citrix XenApp 6.5 End of Life is Approaching - Are You Upgrading? "All good things come to an end," so the saying goes. XenApp 6.5 will finally reach the end of its supported life this summer on June 30, 2018 (or August 24, 2016 depending on which date you look at in Citrix’s lifecycle documentation). It’s either be a great day or the beginning of some major risks for your organization. If your organization relies heavily on a Citrix XenApp 6.5 or older environment for daily operations, and you’re already ahead with upgrading it, then congratulations! If not, then it might be time to put some thought behind your plan. XenApp 6.5 had many features that organizations were crazy about but there is absolutely no need to worry. The latest Long Term Service Release (LTSR) build of Citrix XenApp and XenDesktop 7.X will have you covered. That is, after you get your head around the new architectural differences. Below is a charted breakdown from Citrix defining the different terminology helpful in understanding the transition. Scripts are available to migrate a configuration from a 6.X to a 7.X environment but in my personal experience, it takes less time to standup a parallel environment if you have the compute and storage capacity to do so. I have found that the biggest problem with migrating a configuration is not with the process itself, but rather with the migration of old configurations and workarounds that are likely no longer needed. A proper review of the current environment, including determination if some of the published resources are still in use is the very first step in a successful upgrade from Citrix 6.X to 7.X. 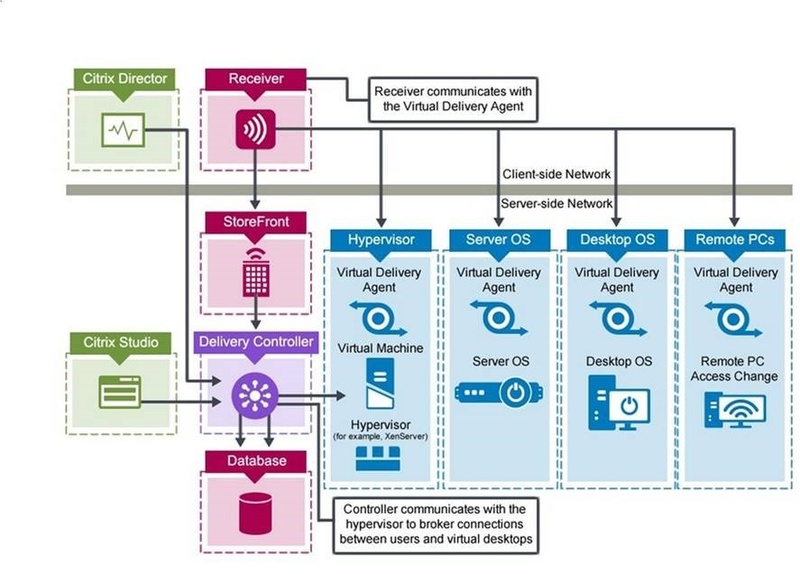 The look and feel of Citrix Studio versus the older delivery services console should be a welcome change for administrators. I find myself using web based Citrix Director with Insight or NetScaler MAS for most of my daily tasks aside from changes that must be made using Studio or PowerShell Scripts. If you dislike your users, and enjoy moving to multiple systems to troubleshoot seemingly simple issues. If you want to avoid a tough conversation with your leadership when your 6.X or older Citrix environment goes down. It looks as if the number of reasons to upgrade your XenApp outnumber the reasons why you should not. What are your plans for upgrading? Leave a comment below! At Accelera Solutions, we specialize in designing and executing migrations/upgrade plans that can be tailored to your organization's specific needs. Please contact us here with any questions and we'd be glad to chat to chat with you.